Lion Berner is a man of culture: A connoisseur of literature, poetry, philosophy and of course: wonderful music. Lion grew up in Cologne and you can feel the influence of the city’s musical tradition in the way Lion structures his sets, building it slowly up to the peak-point. But also his second-home Berlin is in there, represented by edgy, deep and experimental sounds. His style totally matches our philosophy that a DJ Set not has to be all about the 4/4 kick-drum, but about playing whichever kind of music you want as long as it adds a part to the story you’re trying to tell. 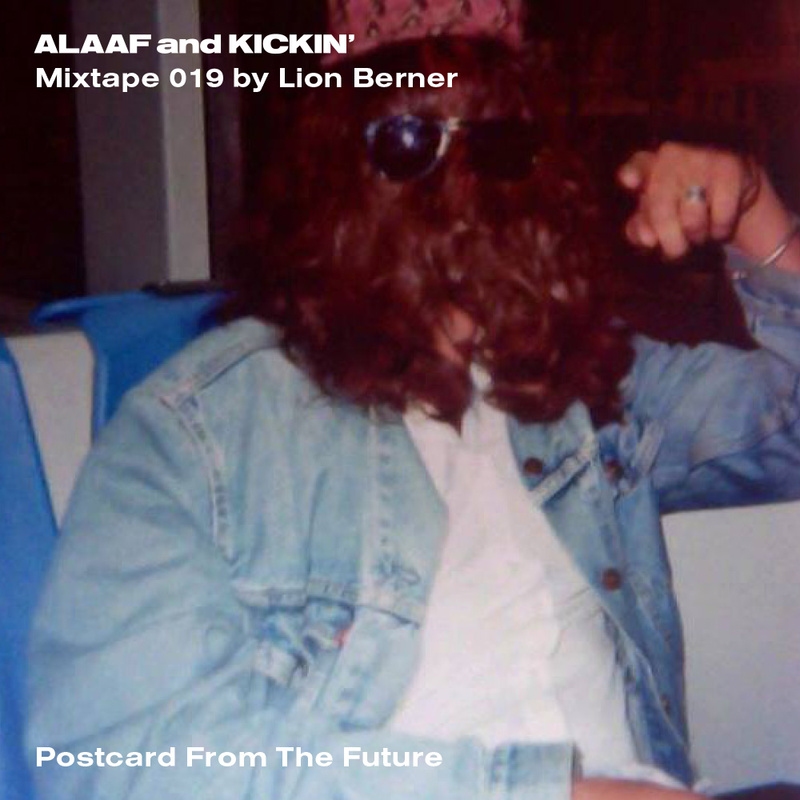 In his ALAAF and KICKIN’ Mixtape, Lion takes us on a journey deep into the history of electronic music in all its forms and colors. Thank you Lion! I think it was basically that I wanted to put some records together that I really like at the moment. From Ambient over Techno to House, spiced with a little Electro Wave. I tried to combine different tempos and moods, the way it seemed to make sense for me. The intro track is a wonderful Ambient piece by Gigi Masin, one of my favorite Ambient artists. I couldn’t afford buying one of his old records until luckily Rush Hour released a compilation this year with some of his best works back from the 80s until now. The fourth track in the mix is a super hypnotic track by Gunnar Haslam from his album Mimesiak. I really love his quite minimalistic but really deep and hypnotic approach. The second last track is a timeless tune by Juan Atkins, like most of his work. Unbelievable groove and harmony. The warm-up set is the ultimate discipline! – Do you agree? Not necessarily. It’s definitely a big challenge to get people ready for the night and I think warming-up gives you the biggest freedom musically, but playing a really good peak-time or afterhour set can be just as exciting and challenging. Would you say that your love for literature and other arts based on storytelling is influencing the way you structure your DJ-sets? No. To me music is a totally different way of expression than literature or fine arts. I love all of these, but the way I perceive them and how they make me feel is very different. What kinds of music, besides electronic music, do you usually listen to? Any specific artists? Generally saying I just love to explore as much new music as I can. Besides electronic music I’m really into different Jazz styles from classics like Coltrane, Miles, Mingus to freaky stuff like Sun Ra or Pharoah Sanders to modern classics like Pat Metheny or Marcus Miller. I love Blues, Soul, Funk or oldschool Hip Hop just as much though.